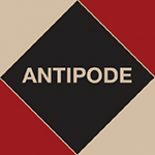 We’ve been making connections between Antipode papers and work published in other journals recently, looking at the excellent ACME special issues on anarchist and autonomous geographies and the politics of climate change. One more link we’d like to highlight is between our recently published Antipode Book Series title, Gramsci: Space, Nature, Politics (edited by Michael Ekers, Gillian Hart, Stefan Kipfer and Alex Loftus), and Geoforum‘s 2009 special issue on ‘Gramscian Political Ecologies‘. Together these represent a wonderful resource for all radical/critical geographers, with contributions in both from Michael Ekers (on political ecology, labour, gender and sexuality), Alex Loftus (on the idea of nature), Geoff Mann (on Marxism and money), Joel Wainwright (on science and ‘conceptions of the world’) and Abdurazack Karriem (on praxis and the Brazilian landless movement). There are also superb interventions in the book from Gillian Hart (on populism and language), Vinay Gidwani and Dinesh Paudel (on popular uprisings and political transformation), Jim Glassman (on hegemony and rebellion), David Featherstone (on solidarity and cosmopolitanism)…there’s even a piece from John Berger. 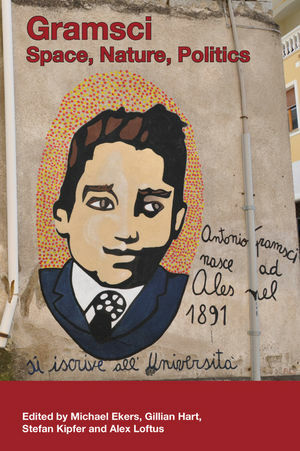 This entry was posted on 16 January 2013 by Antipode Editorial Office in Other and tagged Alex Loftus, conceptions of the world, cosmopolitanism, gender, Geoforum, Gillian Hart, Gramsci, Gramsci: Space, Gramscian Political Ecologies, hegemony, John Berger, labour, language, Marxism, Michael Ekers, money, Nature, political ecology, politics, populism, resistance, science, sexuality, solidarity, Stefan Kipfer.